Operating system virtualization software has really improved itself over the past few years, offering deep integration with guest operating systems, huge leaps in performance, and much more. 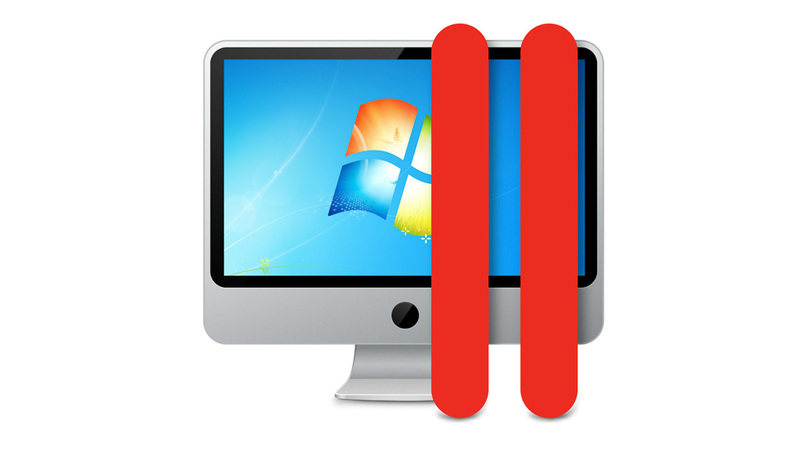 With Parallels Desktop 8 for Mac, the best virtual machine software noticeably improved, offering Windows 8 compatibility as well as a noticeable increase in general performance and usability. If you’re on the fence of whether or not to pick up Parallels 8, then hopefully this quick review will help you out. The software is currently priced at around $80 for new users, but you can get a boxed copy for $60 from Amazon. However if you’re an owner of Parallels Desktop 6 or 7, you can upgrade to version 8 for half the cost, which will be about $40. Lastly, if you’re a student, you can pickup a full copy of Parallels 8 for $40, a 50% discount that will sure be worth it sooner or later. First, you might ask yourself what this even does. In a nutshell, it allows you to create and run virtual machines. Well, what’s a virtual machine? Also in a nutshell, it’s where you can run an operating system, such as Windows or Linux, inside of your running copy of Mac OS X.
Parallels offers deep integration, particularly with Windows, meaning that you’ll be able to incorporate some of the features of Windows inside of Mac OS X. For example, you can have the taskbar icons that would show up in Windows be visible in the menubar for Mac OS X. You can also have your running Windows applications show up inside of your dock. The list of other integration features is quite extensive. Personally, I like keeping my Windows virtual machine as isolated from everything else as possible, which Parallels 8 allows you to easily do. So, I’m running Windows inside of its own window inside of Mac OS X on my MacBook Air. No rebooting, no hassle. As a matter of fact, I’m able to boot Windows 8 much faster than booting it via Boot Camp (as there’s a 10-15 second pause after the Windows boot screen disappears, for whatever reason). Performance is probably of concern, too. In my testing on my mid-2012 13-inch MacBook Air (1.8GHz Intel Core i5-3427U, 4GB DDR3 1600MHz RAM), I found that performance was very impressive, especially compared to older versions of Parallels and even similar software from their competitors. Windows 8 Professional x64 is very snappy and works almost as though I’m booting it natively via Boot Camp or EFI. The only time where you might notice a decrease in performance is when attempting to play games inside of the virtual machine. While it’s perfectly possible, your frame rates will decrease a bit, meaning that gameplay won’t be as smooth. For many older, simpler titles, such as The Sims, RollerCoaster Tycoon, or even FlatOut 2, will perform perfectly. However, when you step things up to newer, more demanding titles, such as Call of Duty: Black Ops 2, you may run into very sluggish performance. You’ll want to bring down the in-game graphics settings so that the game will be playable. You’ll also want to pay attention to how much virtual RAM you’ve given your VM. In most of my testing, my Windows 8 Boot Camp VM was given 1.5GB of my 4GB of RAM, and this ultimately led to great non-gaming performance. If you plan on gaming with newer titles on a regular basis inside of a Parallels 8 virtual machine, then it’s recommended for your Mac to have at least 8GB of available RAM, so that you can give the VM at least 4GB. Unfortunately, I didn’t test Parallels 8 with any guest operating system other than Windows, but I imagine that they’ll run quite well, mainly speaking for Ubuntu or other Linux distributions. You’ll just need to make sure that you install Parallels Tools for the particular operating system that you plan on using. Even if you don’t plan on using Parallels daily, it might come in handy for when you just so happen to need to run a piece of software for another operating system. Beyond that, you could use it to install operating systems as little experiments or projects. For example, you could grab a copy of Ubuntu Linux to mess around with it for a while, rather than having to create a partition on your Mac computer and risk your data being accidentally deleted or something similar. Overall, Parallels Desktop 8 is a very convenient, powerful, and easy-to-use piece of Mac software that makes running and managing virtual machines a breeze and, quite honestly, it makes running them a bit of fun, too. Its simplicity and class-leading performance makes this the best virtualization software for Mac OS X. If you can find a copy for $40, then absolutely get it. Shelling out $80 for it might be a bit of a bigger hit, but it will most likely be worth the purchase for most people.